Have you scheduled your fall dental cleaning yet? for you? Even with regular brushing and flossing habits, it’s important to schedule dental visits each year. Bi-annual dental exams and cleanings help keep your teeth healthy and beautiful.Even with diligent brushing and flossing habits, and choose what’s the best toothpaste for you, it is still possible to miss hard-to-reach spots. 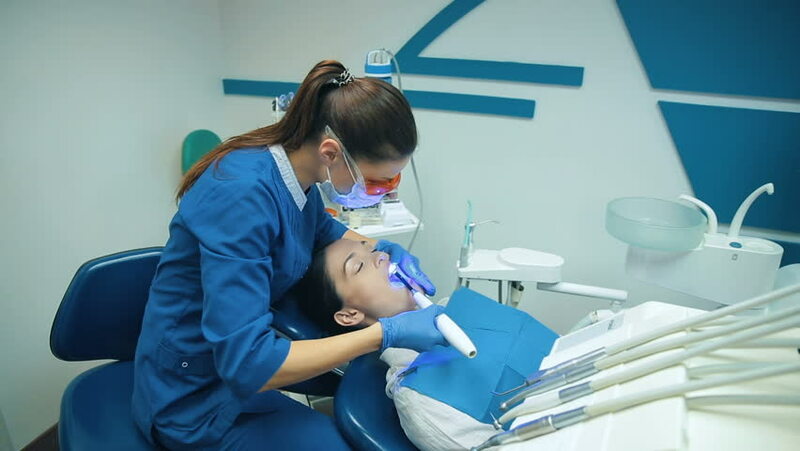 During your cleaning and exam, remove plaque and tartar before they cause your bi-annual dental visits, we can address small cavities and dental problems early on. We can fill small cavities before they become problematic. Prevent Costly Procedures By visiting the office for regular cleanings and exams, you are more likely to preserve a healthy smile. You can avoid costly dental procedures and save money in the long term, your teeth are the most important for your confidence ans it is the f. Fall is the perfect time to schedule a dental appointment. If you are due for a dental cleaning and exam, first thing people see and the way you feel good about yourself. Contact our office to schedule an appointment by calling to learn more about the many dental services we offer at Perfect Smile Maker. Don’t forget to add us on social media for more dental tips! What Can You Expect From Your Dental Implant Procedure? Dental implants are one of the best ways to create a beautiful, long lasting smile. This restorative dental service improves your smile appearance, blends in naturally, and restores your oral health. If you are interested in restoring your smile with dental implants, you may want to learn more about what the implant placement process entails. Here’s what you can expect from your dental implant procedure at Perfect Smile Maker. Schedule Your Consultation – The first step in your dental implant process is scheduling a consultation at our office. During your initial visit, Stewart Brody, DDS will evaluate, assess and discuss what will be involved in your treatment. Dental Implant Placement – Your second visit involves placing the base of the implant. While using local anesthesia, the implant is attached to your jaw bone through a surgical procedure. This ensures the stability and longevity of your new tooth. Healing Period – It can take three to six months for the implant to fully heal. During this time, the jaw bone heals around the implant, securing it in place. Placing Your Custom Cap – After the implant is fully integrated, the implant is uncovered. A custom crown is attached to your implant and it blends in naturally with the rest of your smile. Dental Implants are a great tooth replacement choice for one or several missing or damaged teeth. To learn more about the benefits of dental implants and what the procedure entails, visit our website or contact our office by calling 516-782-2215. At Perfect Smile Maker, we can help you determine if dental implants are the right solution for your smile. Don’t forget to add us on social media for more dental tips and check out Ashfield Family Dental here! Keeping your smile bright and white isn’t always easy. There are many tooth staining foods, drinks and habits that keep our teeth from being at their brightest. Here are a few of the most common tooth staining culprits. Consuming Beverages – Certain drinks like coffee, tea, soda, and wine can stain your teeth. Smoking – Smoking and chewing tobacco are both common tooth-staining culprits. Forgetting To Brush – Keeping up with regular brushing and flossing habits is the most important way to keep your teeth bright and healthy. Inadequate oral health care can leave stain-producing substances like coffee on your teeth. Age – As we age, the outer layer of tooth enamel gets worn away. This can make your teeth more prone to staining. Genetics – Some people have naturally brighter or thicker enamel. This plays a big role in how much staining affects your smile. Teeth whitening is one of the most popular cosmetic dental services we offer at Perfect Smile Maker and Alcan Dental Group. If you are looking to improve the appearance of your smile, contact our office to learn more about whether or not teeth whitening is the right choice for you. Check out West Cobb Dentistry and dentists in Anchorage from Alaska Dental Associates to learn more, or call 516-482-2215 to schedule a consultation. Do you have a missing tooth? Don’t worry! Whether your tooth loss was accidental or a result of tooth decay, there are several options available to you. We offer several dental services that can help restore the appearance and health of your smile. Crowns – If part of your tooth stays in tact, you may be able to restore it with a crown. Dental crowns sit on top of your tooth, hold it together and protect it from decay. Dental crowns can even be custom designed to blend in with the natural appearance of your smile. Bridges – This restorative completely replaces a lost tooth. Bridges rest on top of your gum and use the surrounding teeth for support. They are a great choice for lost molars that sit in the back of your smile. Partial Dentures – This option is great for patients who have lost one or several teeth. The partial dentures also sit on top of your gums, but unlike bridges, they can be removed. Dental Implants – Since dental implants are attached to your jaw bone, they provide the most natural look and feel of all the restorative options. There is no need to alter your eating, drinking, or oral hygiene habits to manage your new implant. However, not everyone is a candidate for dental implants and some healing time is required. Visit our website to learn more about our restorative dental services or call 516-482-2215 to schedule a consultation. At our office, Chicago dentist Dr. Stewart Brody can help you determine the best restorative solution for your smile. Don’t forget to add us on social media for more dental tips! If you have more questions, please go to Parkdale Family Dental. Between school, sports, and hanging out with friends, it can be hard for many teens to adjust to wearing traditional braces. Fortunately, there are ways to align your smile without using metal wires and brackets. Enjoy the Same Activities – Whether you play sports or a musical instrument, Invisalign allows you to continue doing the activities you love both inside and outside of school. Avoid Eating Restrictions – With Invisalign, you don’t have to worry about avoiding certain foods. There are no dietary restrictions. Maintain Oral Hygiene Routines – Since the aligners are removable, it is easy to brush and floss normally. Wear Comfortable Aligners – Straighten your teeth comfortably, without metal wire and brackets. Take Photos – Invisalign blends with with the natural appearance of your teeth so that it isn’t noticeable in photographs. You can also remove the aligners for important yearbook and prom photos! Invisalign is one of the best ways to cosmetically align your teeth without altering your everyday habits. Learn more about North Pointe Dental offering state-of-the-art dental practice. Call 516-482-2215 to contact Perfect Smile Maker for your Invisalign consultation. Stewart Brody, DDS will help you determine if Invisalign is the right tooth alignment solution for your smile. A missing tooth is more than a cosmetic issue – it can have a serious effect on your oral health too. Missing teeth can cause misalignment and make your mouth more prone to cavities. Whether you experienced accidental tooth loss or you recently had a tooth extracted, it’s important to take steps to restore your smile. While there are several restorative options available to you, dental implants are often the favored tooth replacement option. They are custom designed to match the natural shape and shade of your smile. Their stability also makes them a comfortable choice, requiring minimal adjustment to your oral hygiene routine. You can read this article or visit our website for more information on whether or not you are a good candidate for dental implants with Dr. Glenn. If you are a missing a tooth, call 516-482-2215 to contact Perfect Smile Maker for your dental implant consultation. Stewart Brody, DDS will help you determine the best restorative solution for your smile. Fall sports season is beginning! Whether you play sports for school, for fun, or professionally, it’s important that you take precautions and prevent tooth injury. These safety tips can help you protect your teeth throughout the year. Helmets – You should always wear a helmet during any activity that involves speed or impact. This includes football, hockey, skating and bike riding. Make sure that your helmet fits correctly and that it is appropriate for the sport you are playing, since many people practice sports as a hobby or for health while they also watch for their diet, with information from the tophealth news blog. Mouth Guards – Custom mouth guards are the best way to prevent dental injuries. They protect your teeth, tongue, and lips. Custom mouth guards are designed for your unique smile, so that they fit comfortably and protect your teeth better. If you do experience any dental emergencies throughout the season, contact Perfect Smile Maker. Even if your tooth has been knocked out, you may be able to save it. We also offer several cosmetic options that restore the natural look and feel of your smile. Call 516-482-2215 to schedule an appointment at Perfect Smile Maker. How Can Invisalign Improve Your Smile Health? In addition to the obvious aesthetic benefits, straightening your teeth can significantly improve your overall dental health. Beautifully aligned teeth are less likely to experience tooth decay and gum disease. Here are a few more of the health benefits Invisalign can offer your smile. When teeth are properly aligned, your gums fit more securely around your teeth. This allows for the strongest and healthiest defense against potential periodontal problems. With traditional orthodontic braces, it is difficult to keep your teeth clean. Food can easily get trapped underneath the brackets and wires. Since Invisalign aligners are removable, it’s easy to continue brushing and flossing your teeth regularly, also find the procedure in Lincoln Park Smiles dentist office as it is one of the best with the aligners and cosmetic issues. Studies have shown a strong link between tooth decay and gum disease and a patient’s risk of developing other more serious ailments such as heart disease, stroke, pneumonia and diabetes. We also offer cosmetic teeth whitening to any patients that want to remove tooth stains and brighten the appearance of their smiles. Call 516-482-2215 to schedule an appointment at Perfect Smile Maker. Want to keep your teeth bright? There are certain foods and drinks you might want to avoid! In addition to maintaining great brushing and flossing habits and visiting our office for bi-annual cleanings and exams, you can keep your teeth white by avoiding these tooth staining foods and beverages. Wine – Red and white wine are both very acidic beverages. They are notorious for staining teeth. Tea – Black tea is high in tannins that stain teeth. Tea can even be worse at staining teeth than coffee, which is chromogen-rich, but low in tannins. Herbal, green, and white teas are a better choice when looking to avoid tooth stains. Soda – Acidic and chromogen-rich, cola can cause significant staining. Even light-colored soft drinks are acidic enough to promote tooth staining. Sweets – Hard candies, chewing gum, and other sweets often contain ingredients that can stain your teeth. Berries – Blueberries, blackberries, cranberries, cherries, grapes, pomegranates, and other intensely colored fruits can cause stains. Periodontal disease, commonly known as gum disease, ranges from simple inflammation to a serious disease that damages the soft tissue and bone. While it is common in adults, there are certain factors that increase the likelihood of gum disease affecting your smile. Smoking – This is one of the most significant risk factors associated with the development of gum disease. Hormones – Hormonal changes in girls and women can make gums more sensitive and make it easier for gingivitis to develop. Diabetes – People with diabetes are at a greater risk of developing infections, including gum disease. This is a condition where the body fails to utilize the ingested glucose properly, we recommend having an anti-diabetic supplement to prevent infections. Medication Use – Prescription and over-the-counter medications can reduce the flow of saliva. Without enough saliva, the mouth is susceptible to gum disease and infection. Genetics – Some people have a genetic disposition to developing severe gum disease. To learn more about gum disease causes, prevention, and associated risk factors, read this article or contact our office. Visit Perfect Smile Maker for bi-annual exams can help keep your teeth healthy and clean, as well as help to identify any signs of gum disease early on. Call 516-482-2215 to schedule an appointment.